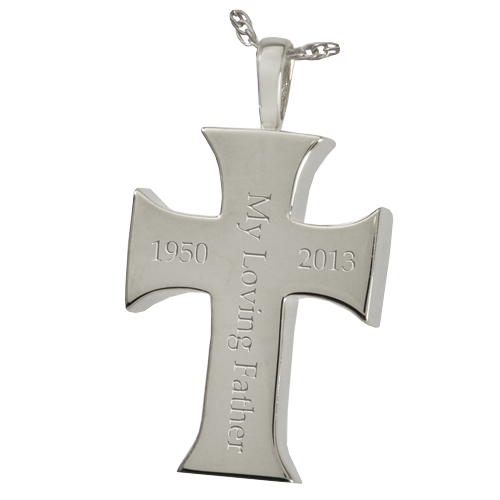 The men's cross pendant has a chamber inside which families can use to house the ashes of their loved one, sacred soil or lock of hair memento. 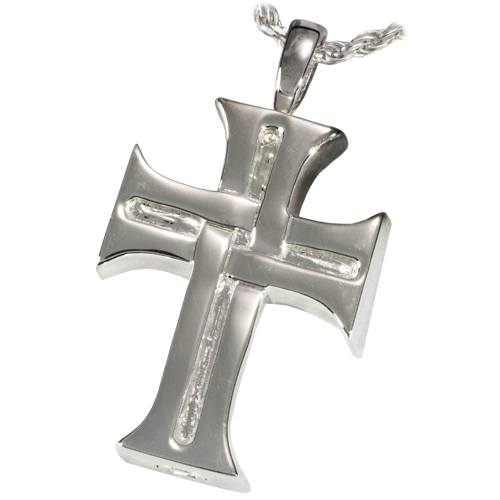 The pendant is easily filled through the secure threaded opening using the included small funnel. 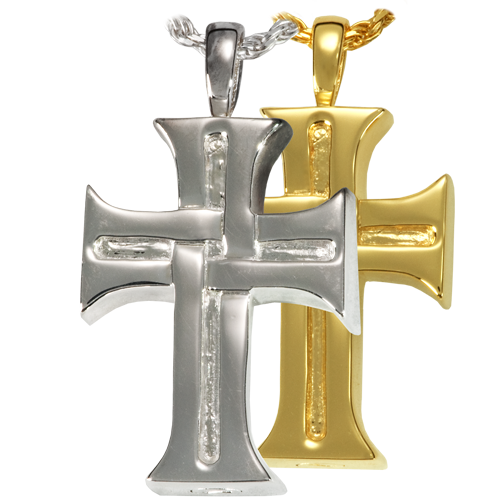 The urn pendant can be permanently sealed using industrial sealant (not included).